December 17th-18th was a big weekend for the Pokemon TCG - so big that PokeStats has only now finished analysis of the data. Yveltal/Maxie's dominated the Expanded San Jose Regionals (although Greninja had a strong showing); but Vespiquen Toolbox emerged as the top deck at ARG Orlando and the first ever ARG Invitational (also in Orlando). Finally, at Expanded ARG Orlando, Yveltal/Maxie's took another first, but there was creativity across the board (Aerodactyl/Talonflame, anyone?). Next up: Dallas Regionals, a Standard event occurring this weekend, December 30-31. Here's my statistical take on what'll go down in the Lone Star State (besides another Cowboys victory). Vespiquen Toolbox: The New BDIF? What better way to ring in the new year than with a brand new Best Deck In Format? OK, Vespiquen isn't really new to the competitive scene, in either format. But the latest version of the deck - a toolbox build that can be customized several ways - offers answers to Yveltal and Greninja, and boasts solid matchups across the board. PokeStats gives Vespiquen the #1 spot in the Power Rankings by a margin of just 0.23 points over the second-place Yveltal/Garbodor. Factoring into this decision are the deck's phenomenal finish at Orlando's ARG tournaments and its favorable matchups against the previous Top 5 in the Standard Power Rankings. Vespiquen Toolbox has performed increasingly well at recent ARG events. Now, don't get too excited, because Yveltal still has that 20.73 Power Rating, barely behind Vespi, as I've said. But it has definitely been taking less of the prize share in the last month or so. I don't think this is so much due to counter decks as to the dangers of the Yveltal mirror match, something Chris Schemanske just pointed out in his SixPrizes article. Schemanske doesn't expect Yveltal to win Dallas - he puts his money on Volcanion; a heavily teched PlumeBox; M Mewtwo; Greninja (Grafton Roll's Yveltal-beating version); or, curiously, M Altaria. This is like what happened with Night March at 2016 Worlds. Night March was clearly the BDIF, but it was countered out of existence by things like Greninja, Trevenant, and PlumeBox. If I recall, only one Night March deck made Top 8 despite the fact that it was the most-played deck at the whole tournament. Yveltal is destined for this fate at Dallas, I think. It's a great deck, but there's going to be too much Zebstrika, Greninja, and PlumeBox for it to deal with. Greninja: Consistently Inconsistent or Inconsistently Consistent? That's a little more confusing on the page than it sounded in my head. What I mean is: Greninja is the most inconsistent deck at the moment, with mulligans, useless Talonflames, slow starts, and other issues. 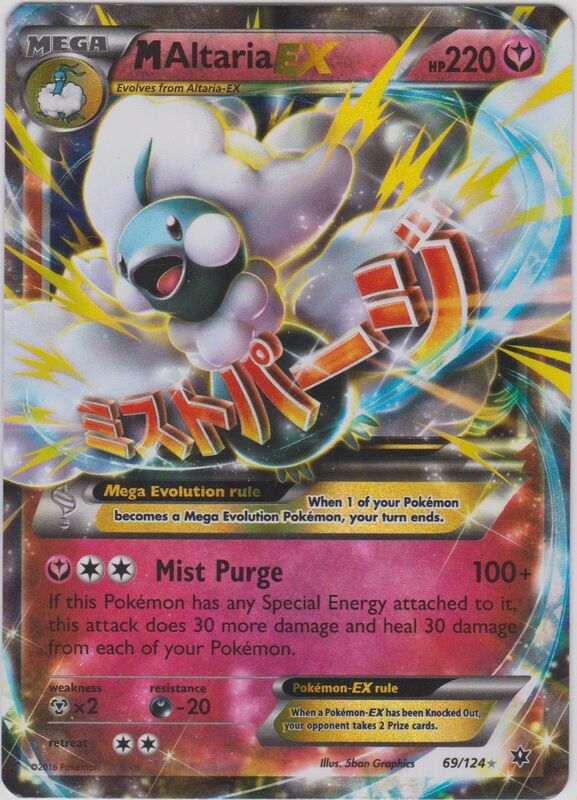 But, to quote Schemanske again, "not many decks can deal with a stream of cheap attacks coming from 170-HP monsters." And the deck is really hard for Yveltal to deal with. So clearly it's still good. Above: the graph of Meta Share % for Greninja at this season's TPCI Standard tournaments. Simply put, Greninja always does pretty well. Only Volcanion has had a similar level of consistent success across every TPCI Standard tournament this year. The Frogman's ARG record is a little spottier, but that's to be expected with a smaller attendance and prize pool. Greninja might be the only deck in the format right now that's an undeniably safe play, and that's pretty oxymoronic for a deck that quite often has an abysmal setup. 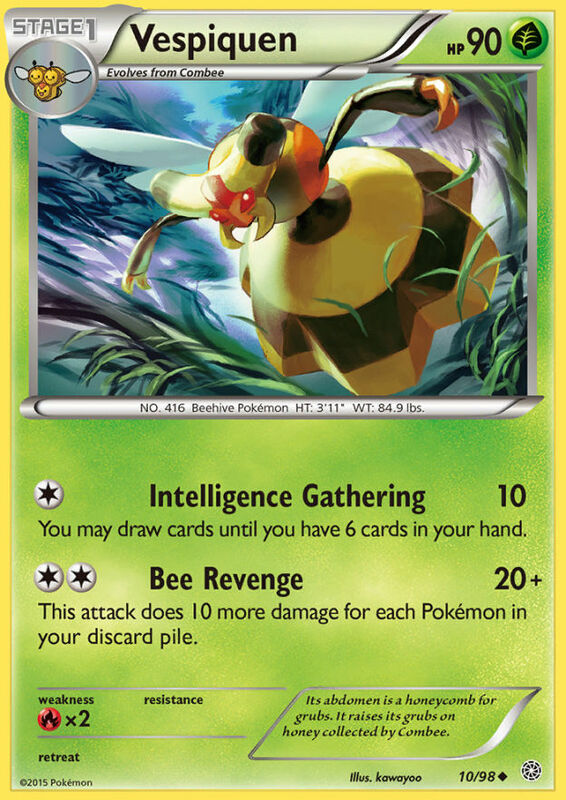 M Mewtwo just did well at ARG Orlando and is able to take on Yveltal while maintaining a decent matchup against BeeBox. Volcanion suffers from Salamence-EX and people teching Vaporeon into Vespiquen lists. Despite that, it's still extremely fast and consistent and should remain a solid play. Darkrai-EX/Dragons possesses a lot of options: heavy attackers (Darkrai-EX, Salamence-EX) and locking cards (Giratina-EX, Garbodor). If Promo Giratina were legal for Dallas (as previously expected), this deck would likely shoot into the top 3, and possibly remove Greninja from the Top 10 entirely. Alas, that's not the case - but Dark Dragons is still a great play for Dallas. I'd play it above anything else except maybe Vespiquen. I mentioned PlumeBox above, since Chris Schemanske expects it to do well. Schemanske's new list for the deck (in his 6P article) has 22 Pokemon, 9 of which are 1-ofs. It has a counter for absolutely everything. Item lock is excellent, and if the deck doesn't destroy itself (which can happen - it's clunky), it has so many ways to win. This might be the most underrated play for Dallas. Conversely, I don't think M Gardevoir STS is that good, but it's definitely consistent. I think people will be playing it as a counter to M Mewtwo and Vespiquen, but I expect its Meta Share to be largely the result of a high number of placements, not any outstanding successes. Yes, I think people are going to play M Altaria. I saw this deck mentioned in pre-season discussions on PokeBeach, but it only just got its first big competitive victory with a 5th place finish at ARG Orlando. I honestly have very little idea how this deck works or whether it's good, but I think people are going to experiment with it and it could be the secret deck that makes it all the way to Top 8. Finally, we have mill decks. These decks lose really hard to Greninja and have a solid chance against everything else. Houndoom-EX/Raticate has had a few Top 32 finishes so far this season, and I think the time is nigh for it to take one or two more at Dallas. A final quick note: while I largely relied on PokeStats's Power Rankings to make these predictions, you may notice the current 4th-ranked deck, Jolteon-EX/Garbodor, is conspicuously absent. 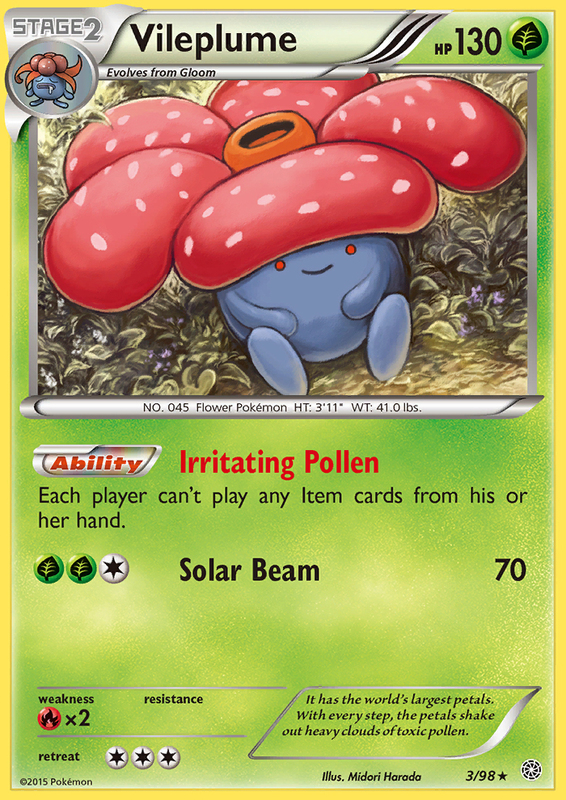 This is because while the deck looks good on paper, it hasn't made a single Top 32 at a Regional this season with the exception of Dean Nezam's 9th-place Pidgeot-EX variant at Fort Wayne. Jolteon-EX is apparently best left in PlumeBox lists. So there you have it - my thoughts on the metagame for Dallas Regionals. Stay tuned for event coverage this weekend, and my wrap-up with updated Power Rankings and some new math-oriented projects in the weeks to come. here is such a great amount in this article I’d choose to make use of some with the content on my blog whether or not you don’t mind. Hello, all the time i used to check weblog posts here early in the daylight, as i enjoy to find out more and more.